Lenovo has one less thing to worry about as the anti-monopoly bureau of the Chinese Ministry of Commerce has given its green light to its acquisition of IBM's low-end server unit. The deal was announced in January and would see the Chinese company swallow IBM's x86 server business for a proposed $2.3 billion (about £1.3 billion, AU$2.5 billion). The US Government has yet to approve the deal, which is still expected to be completed by the end of the year according to Lenovo Chief Executive Officer, Yang Yuanqi. Last week, reports emerged of security concerns raised by the US government as one big obstacle that could scupper the whole process. It is likely that Lenovo will keep the IBM brand going on as it did nearly a decade ago when it bought IBM's personal computer division. The company already has a joint venture with EMC running with a complete line of Network Storage devices carrying the moniker LenovoEMC. 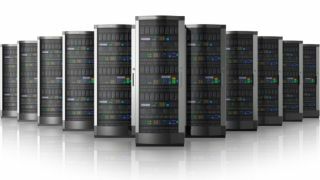 In addition, it runs its own range of Rack servers and Tower servers under the ThinkServer brand. IBM's proposed purchase will bring in the fold the Sytem X racks and towers, x86 BladeCenter and the x86 Flex System blade servers and integrated systems.